The most affordable award option. 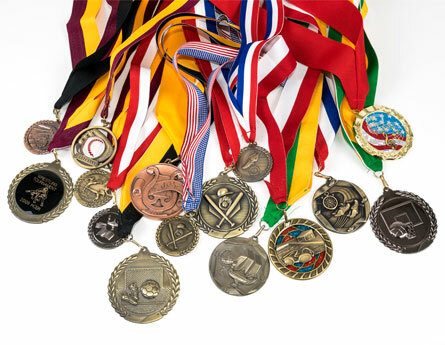 Many ribbon colors and medal designs available to fit the needs of your team, school or business. Available in gold, silver, or bronze. Let us customize your medal with in house engraved logos, graphics, and language. 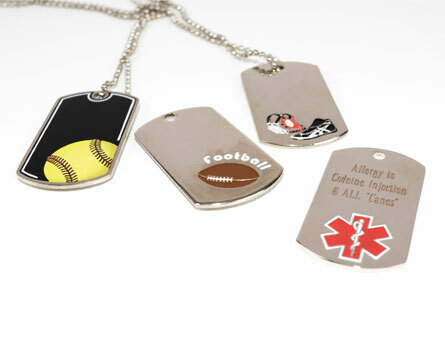 Visit discount-trophy.com for dozens of medal, dog tag and neck ribbon options.